It is a distinct pleasure for me to participate in the African Union Summit and address this 13th Ordinary Session of the Executive Council. On this occasion, I would like to extend my special thanks to the Chairman of the Commission of the African Union, H.E. Jean Ping for inviting me, and to our hosts, the Government of the Arab Republic of Egypt, for their warm hospitality. Africa today is the centre of global attention. The moves undertaken by Africans themselves for the future of the Continent play a significant role. 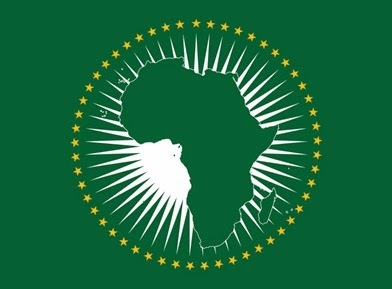 The African Union’s efforts in this endeavor have been instrumental. It is a widely shared view that promotion of peace, security and stability is a prerequisite for development and prosperity. The search for the African Union therefore started with the efforts for unity and solidarity among African countries and peoples. When we look at the transformation that is underway in the Continent today, we pleasantly see that Africa is becoming a rising power. It is our firm belief that the African Union will continue to play an important role in achieving common goals such as the processes of national reconciliation, good governance and the rule of law. Turkey has obtained an observer status in the African Union and accredited her embassy in Addis Ababa to the Union in 2005. Recently, there have been reciprocal high-level visits between the two sides. The first visit was made by the then Chairman of the Commission, H.E. Konare on November 2005 to Turkey. This was followed by the visit of H.E. Prime Minister Erdoğan on January 2007 when he addressed the 8th Regular Summit of the African Union. Let me reiterate once more that we strongly support the efforts of the African Union and of African countries towards stability, development and prosperity. Turkey is determined to work together with African nations as a friend and a partner. A friend and a partner for regional cooperation, peace and sustainable development. When I make this statement, I certainly feel encouraged by the recent developments in the Turkish economy which help me to express to you such a reassurance. Let me identify a couple of those achievements. Today, the total GDP of Turkey has reached 660 billion Dollars. Turkey is the 17th largest economy in the world. Our total trade volume exceeded 300 billion dollars. FDI inflow is now more than 20 billion dollars per year. We received 21 million tourists last year. We are expecting 25 million this year. Increased humanitarian and development assistance is becoming another defining feature of Turkish economy. Turkey’s international aid budget has been steadily expanding over the recent years. The amount of official development assistance reached 602 million Dollars at the end of 2007. When combined with private sector assistance, this figure rises to 2 billion Dollars, placing Turkey among leading donors in the world. Turkish International Cooperation and Development Agency (TIKA) has opened three offices in African countries (Addis Ababa, Khartoum and Dakar). This number will increase significantly. We observe with satisfaction the performance displayed in recent years by many African countries. We observe stronger democracies, we observe stronger regional cooperation. Africa is rapidly consolidating its place in the World. I do not intend to paint a rosy picture; it is a fact that the continent is still struggling with health problems. Increasing food prices are particularly challenging African states. And the ongoing conflicts in some countries as well as humanitarian crises continue to be our main concerns. But it is also a widespread expectation of the international community that, in the period ahead and in a very near future, Africa’s destiny is bound to change. In that, I am also a strong believer and so are the people of Turkey. Let me explain to you briefly what we have done so far in order to contribute to the achievements of the African people. First and foremost, I have to mention that Turkey has traditionally maintained very good political relations with the African continent. My Government has taken several initiatives regarding Africa. We have been implementing an “Opening up to Africa Policy” since 1998. We have declared the year 2005 as the “Year of Africa” in Turkey, and increased our cooperation. Our trade volume with African countries which was only 5 billion Dollars in 2003, increased more than two fold and exceeded 12 billion Dollars in 2007. Imports of Turkey from Africa have risen from 3.3 to 6.7 billion dollars. Yet, considering that Turkey’s total trade volume with the World amounts to 300 billion dollars, we believe that our current trade volume with African countries needs to be boosted seriously. 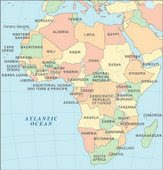 Turkey’s target is to reach a trade volume of 30 billion Dollars with Africa by the end of 2010. Turkish contractors have so far successfully completed over 3000 projects at international standards, in 70 countries across the globe. Total business volume of Turkish construction sector has reached 105 billion USD by the end of 2007. There are now 355 Turkish firms currently operating in various African countries. For increasing our commercial and economic relations with African countries, we are aware that our firms should have access to easy, low cost and fast transportation. Turkish Airlines currently flies to Addis Ababa, Khartoum, Lagos and Johannesburg and plans to operate more direct flights to several destinations in Africa. We are also looking into new means of transport, particularly in the maritime field. Today we have 12 Embassies and over 20 Honorary Consulate Generals all over the continent. This is not enough. My Government has recently decided to open 15 new Embassies in Africa in the immediate future. Equally, since Turkey is located at the intersection of three continents, it also presents a strategic position for closely monitoring developments in its region. Therefore, we are ready to support African countries which would consider opening embassies in Ankara too. All these manifest the existing enormous potential between Turkey and Africa and what we have to do is simply to transform this potential into a constructive synergy, to increase our fruitful cooperation with concrete partnership projects. We welcome the decision taken by the AfU during the AfU Summit in Addis Ababa in January 2008, to declare Turkey as one of its strategic partners. Turkey will make every effort in order to advance this partnership further. I am very glad to say that another endorsement of our partnership has taken place last month. Turkey has become a non-regional member of the African Development Bank in May 2008. This membership will undoubtedly open new areas of cooperation. Turkey’s membership to the African Development Bank will assist our contracting firms to undertake large infrastructure projects in the continent. After 10 years of a gradually evolving policy of opening up to Africa, we now wish to evaluate the current state of affairs and make a leap forward in our relationship. With this understanding, Turkey is going to host the Turkey-Africa Cooperation Summit in İstanbul, on 18-21 August 2008. H.E. President Gül sent invitation letters to all African leaders. With all our respect to the decision in Banjul, I would like to emphasize that we consider “Turkey-Africa Cooperation Summit” as the beginning of a steady, sustainable cooperation process. We believe that, in this first summit meeting of our cooperation, the participation of all African countries will allow us to look at the future of this process with reassured confidence. Availing myself of this opportunity, I would like to reiterate once more the warm invitation of my President. I would also like to inform the Distinguished Ministers that there will be a meeting with the participation of Foreign Ministers and Senior Officals on 18th of August, just before the Summit. During this meeting, we plan to finalize the draft documents which will be endorsed at the Summit. Therefore, it is a pleasure for me to announce here once again my invitation to you all, as Ministers of Your Respective Governments, to attend the Turkey-Africa Cooperation Summit. I am sincerely convinced that new and concrete horizons and opportunities for further cooperation between our countries will emerge following this Summit. Allow me to inform you on some aspects of foreign policy of my country. A new international environment is being shaped after the end of the Cold War. Threats such as terrorism, proliferation of weapons of mass destruction, trafficking of humans, drugs and weapons as well as trans-border organized crime started to gain a global dimension. These problems now affect not only the region they emerge from, but the whole international community. In that sense, it is impossible to take comfort in the thought that we live in a safe world. On the contrary, new asymmetrical threats are added to the classical areas of the conflicts of the past. In addition, issues such as climate change, environmental degradation, epidemics, hunger, poverty and weaknesses in good governance carry as much importance as the security issues that I mentioned above. The capacity of dealing with each of these problems is beyond the power and capacity of individual countries and thus requires cooperation at the global level. We should not forget that it is a common duty and responsibility for all of us to make the world more tolerable for future generations. The primary aim of Turkish foreign policy is to help secure a peaceful, stable, prosperous and cooperative regional and international environment that is conducive to human development within and around Turkey as well as in other parts of the world. Peace and stability are no doubt indispensable for economic development and prosperity. At the outset of the 21st century, there still exist serious destabilizing factors in our overburdened planet, and vast discrepancies in welfare persist among states. In order to eliminate this negative outlook, Turkey attaches utmost importance to the achievement in full of the Millennium Development Goals (MDGs) by the year 2015 as defined by the United Nations. Turkey pursues a proactive foreign policy that employs a broad spectrum of peaceful means. These entail, inter-alia, full integration with the European Union, taking the lead in regional cooperation processes, promoting good neighbourly relations and economic cooperation, extending humanitarian aid and assistance to the less fortunate, participating in peace-keeping operations, and contributing to the peaceful settlement of disputes as well as post-conflict reconciliation and reconstruction efforts. I am sure that you are already aware; Turkey is a candidate for one of the non-permanent seats of the UN Security Council for the period of 2009-2010. I am pleased to acknowledge that Turkey has received support for this candidature from many African nations. I also wish to assure you all that, during her term in the Council, if elected with your valuable support in October this year, Turkey will remain particularly sensitive to the challenges facing Africa. Yes Africa! But what are the challenges that face this extraordinary continent and how does Turkey help to eradicate them? First and foremost, some parts of the continent is under the serious threat of disasters, flood, famine, other natural catastrophic phenomena which require humanitarian assistance. The significant increase in the humanitarian assistance of Turkey to the Continent in recent years is a concrete indicator of the importance we attach to Africa. With all these assistance programs, Turkey is now considered by the World Food Programme as among the leading donor countries. Secondly, we attach special importance to ensuring peace and stability in Africa. Turkey makes important contributions to Peace Keeping Operations. Currently we are providing personnel and financial contribution to 6 of the existing 8 UN missions in Africa (Sudan, Sierra Leone, Democratic Republic of Congo, Cote d’Ivoire, Liberia and Burundi). Thirdly, taking into consideration the genuine needs of the African countries, Turkey gives priority to the projects on agriculture, agribusiness, rural development and water resources management, the development of Small and Medium Scale Enterprises (SMEs), civil defense, security, struggle against malnutrition, communicable and epidemic diseases, efficient transportation network, energy and mineral resources exploration and evaluation, education, science and technology, youth activities, sports and cultural exchange programs. I am happy to say that Turkish and African technical experts are already in co-operation in the field in many African countries. In our efforts for reaching out to Africa, we are also willing to cooperate closely with the Organization of the Islamic Conference of which we are a member, and the Islamic Development Bank, of which we are a partner. And finally there exist the health problems that deprive this continent of its rich human resources, human security, sustainable growth and development. My country is painfully aware of the spread of HIV/AIDS and its implications for Africa. It is unacceptable that nearly six thousand people die every day because of AIDS and that nearly seven thousand people are diagnosed every day as HIV-positive. We are resolved to display greater solidarity with our African brethren and greater determination to help meet the challenge of ensuring universal access to HIV prevention and treatment. I am happy to declare that my country has decided to donate three million US dollars, over the course of three years, to the international fight against the pandemic in Africa. Africa has provided cradle to some of the oldest civilizations of the history of mankind. It is also the peoples of this unique continent that suffered the worst pains of modern times. It will also be the developments in Africa that will determine the contribution that globalization will make to our search, as human beings, for prosperity and justice. Therefore, Africa is in the centre of our common future. The success of Africa will be the success of mankind. We stand for solidarity and partnership for our common future. Before concluding my words, I would like to reiterate my Government’s invitation for the Turkey-Africa Cooperation Summit and express my heartfelt wishes for the happiness and prosperity of all African countries. I look forward to meeting you all in İstanbul.